Look at this mouseover, yeah baby! Jingling Bell! It's as close to "Ixobelle" as I could think of! Gosh, I feel so grown up now... I'd like to thank the academy, of course, and all the little people who work behind the scenes on the blog to make it happen every day (or whenever I decide to update). My wife, who feeds me, and my son, who just kinda lays there and really doesn't do much of anything (he's 5 months old). Seriously, though. It was kind of annoying for a while, and while I knew it was possible, I never bothered to do it. After the jump is the full breakdown of the twenty seconds it requires to get it working for your own blog. 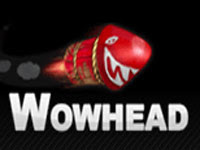 At any rate, just read my reply to the Wowhead official thread on the topic, HERE. That whole thread is how to make it work regardless of if you run Wordpress or Drupal or Ding Dong Forum 32b. I've been way too lazy to do this myself, but much like the keycloning program for dual-boxing, you've inspired me to new heights of un-laziness.